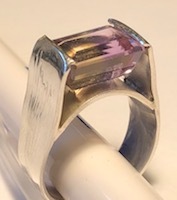 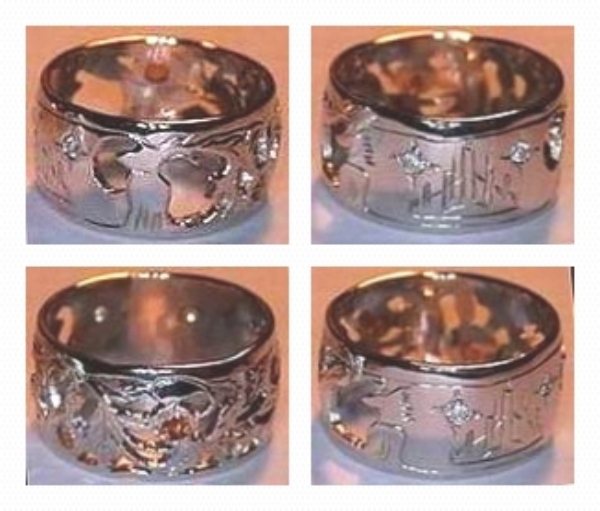 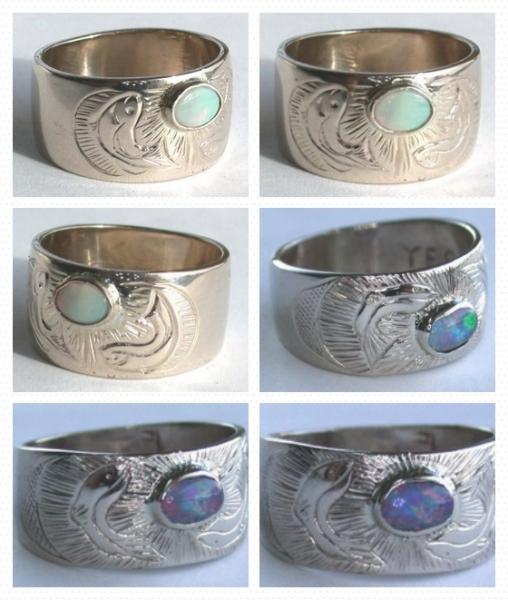 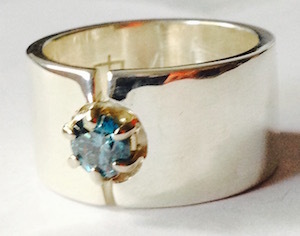 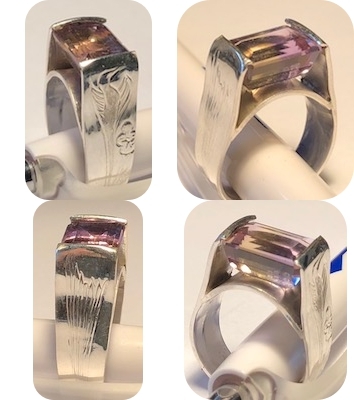 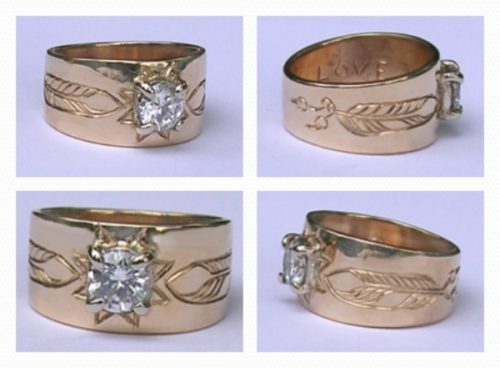 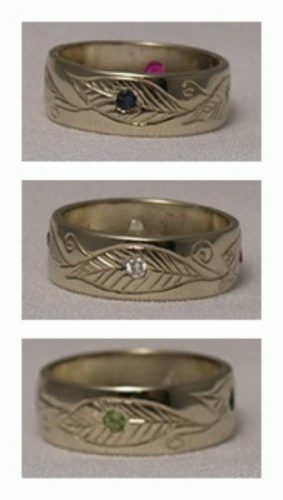 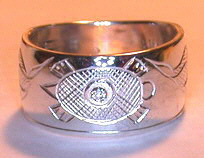 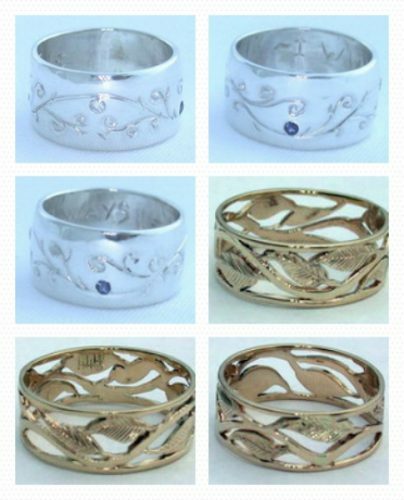 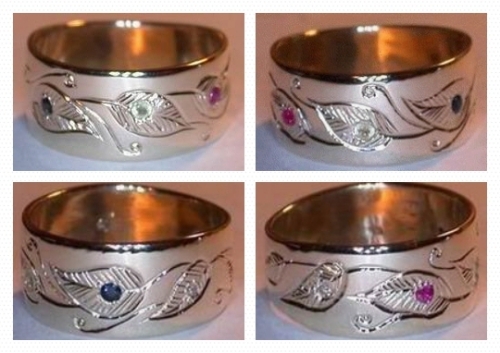 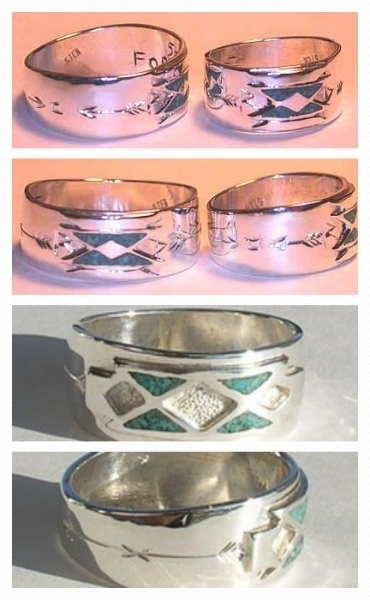 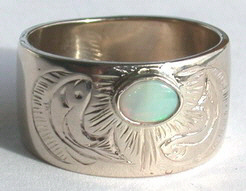 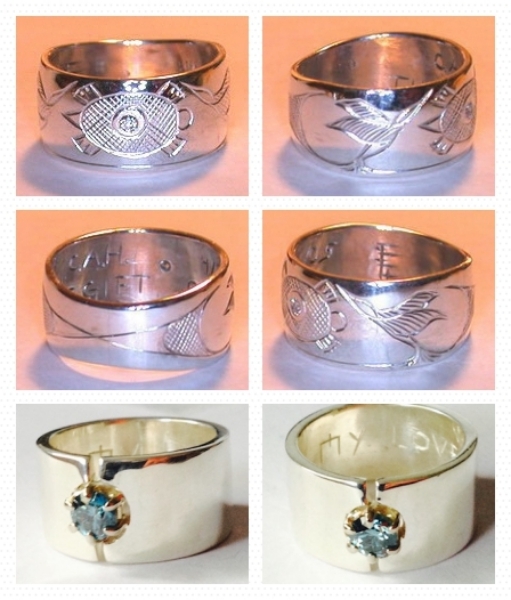 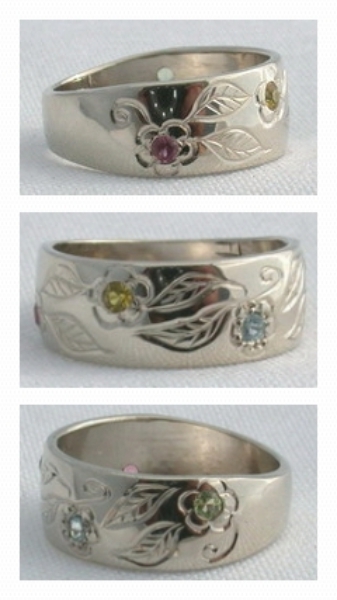 Gem Stone Rings – Either cast or hand engraved these unique silver, gold or platinum rings incorporate various precious and semi-precious gems such as diamonds, ruby, emeralds, onyx, citrine, sapphires, opal, coral, mammoth tusk, jasper and so many more for your unique one-of-a-kind special finger art. 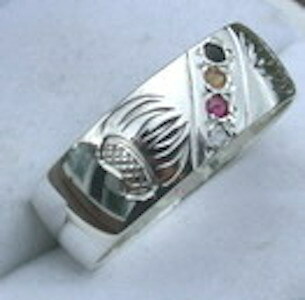 There are several ways gem stones are used aside from display of a major Gem. 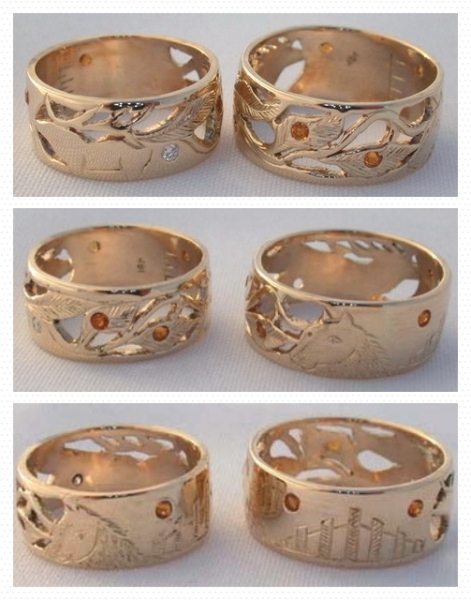 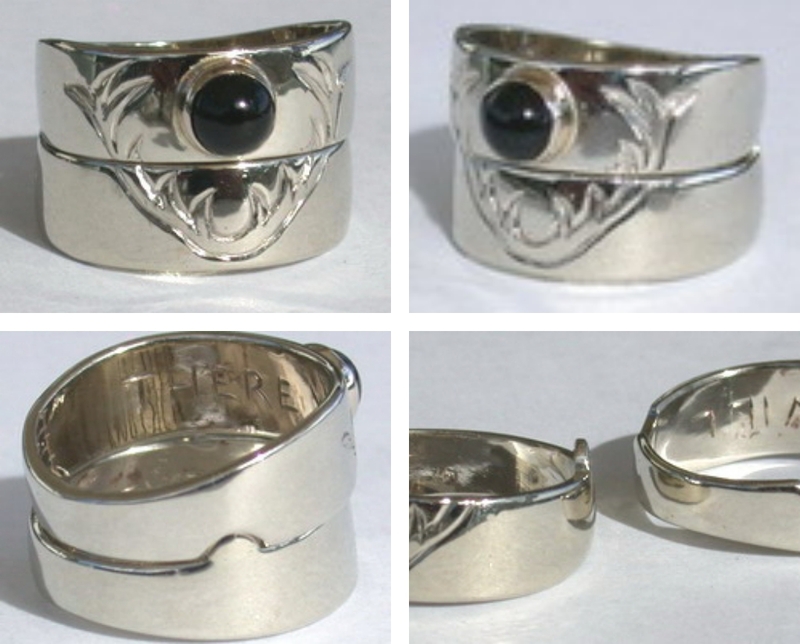 The most common is to use small and bright stones as eyes for the various animal themes I use. 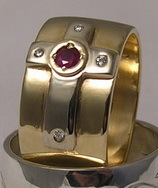 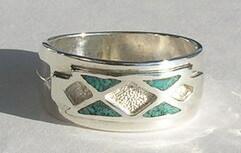 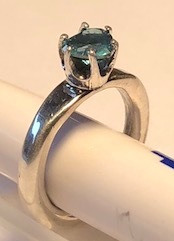 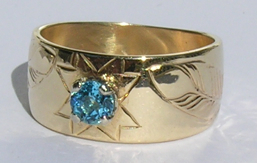 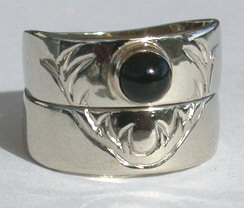 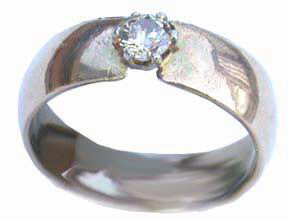 Another way is to add several accent stones around the main Gem or at the sides. 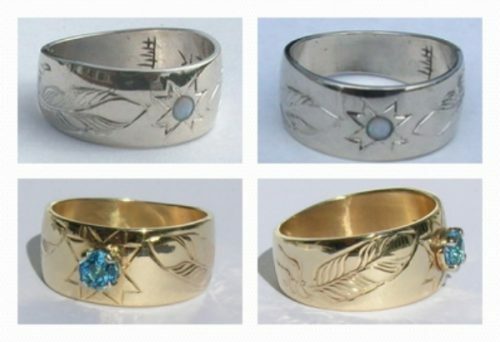 Channel set gems and gems in the Medicine Wheel configuration are also common and very effective for a good sparkle and accent or focal point for your finger art.